With over 200 outlets nationwide, Ryman has confirmed their commitment to this year’s National Stationery Week by becoming the first retailer to endorse its partnership with the annual campaign. Boasting over 120 years’ worth of knowledge in the stationery world, Ryman’s expert product insight and variation of internationally recognised product will bring a new dimension to the 2019 campaign, which runs across 29 April – 5 May. The brand was officially launched back in 1893, with a single store opening in Great Portland Street, London before quickly expanding with a carefully curated product offering for offices, students and creatives. It celebrated 125 years of business last year. 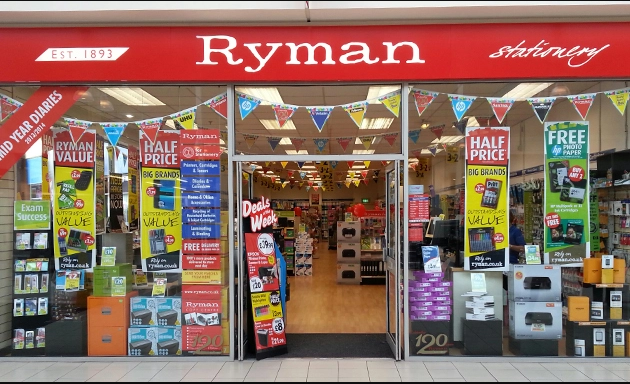 Vanessa Fortnam, head of content and PR for National Stationery Week said; “We are thrilled to have Ryman as the first retailer on board for this year’s campaign. As part of Ryman’s commitment to National Stationery Week, the retailer will put its name to one of the seven days of stationery – with plans for their chosen day unveiled shortly. In addition, in-store events, competitions and an outpouring of stationery love across social media are guaranteed to play a part in how Ryman will catch the consumer’s eye. If you are a retailer or a brand who would also like to get behind this year’s campaign, there is still time to become a partner. If you are keen to find out more, please contact Vanessa on vanessa.fortnam@stationeryshow.co.uk or calling 01666 824624.